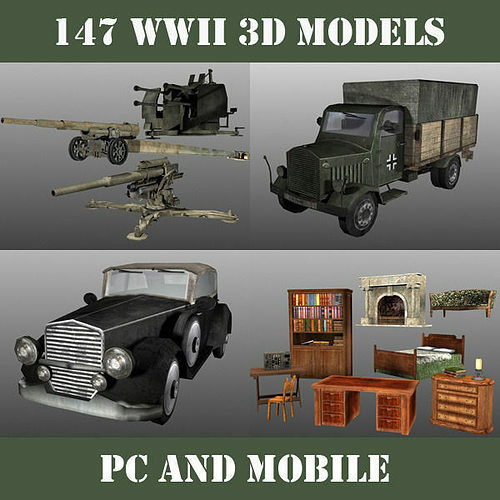 This model pack contains a large number of high quality low poly 3D objects with textures (147 models) such as: Vehicles (cars, tanks, airplanes etc), artillery, buildings, furniture, barrels, crates and many others that will help you to create games. It's great for mobile games and low poly PC games. Textures are up to 2048*2048.